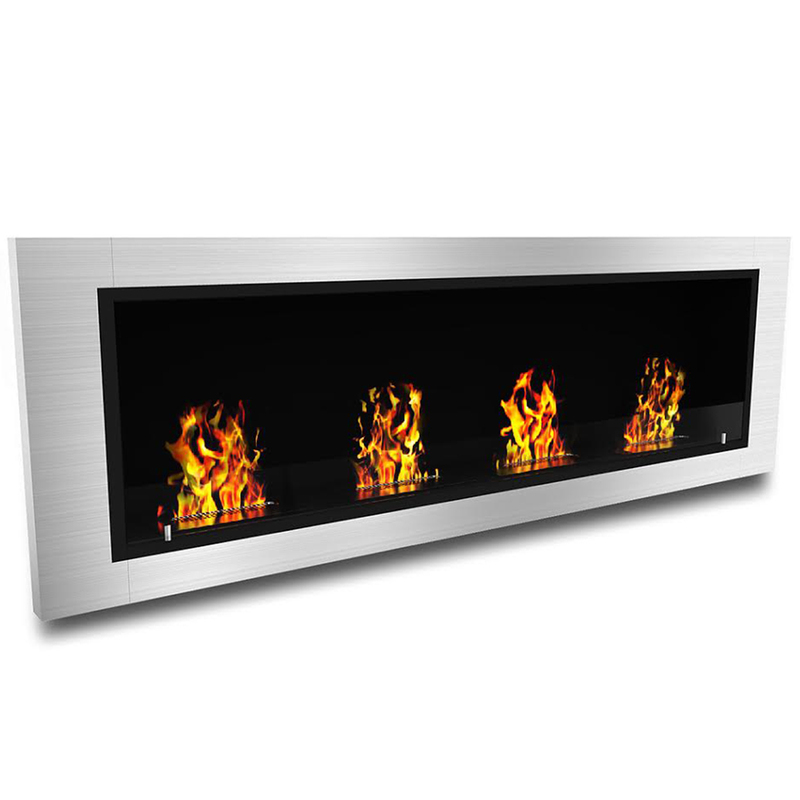 The Regal Flame Luxe ethanol in wall fireplace creates a sense of effortless grace and elegance with its sleek stainless steel frame and four burners. 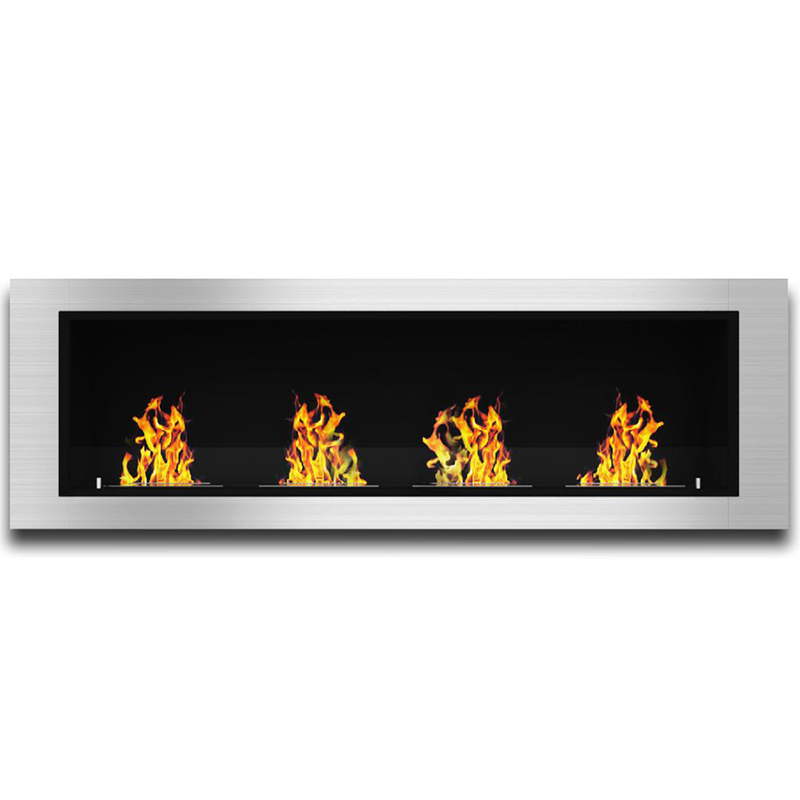 No need to worry about venting, building a chimney or running any gas lines as it burns clean Regal Flame ethanol fireplace fuel. Its as simple as pouring the Regal fuel into the burner and lighting it with an extended lighter to enjoy the real flame ambiance. 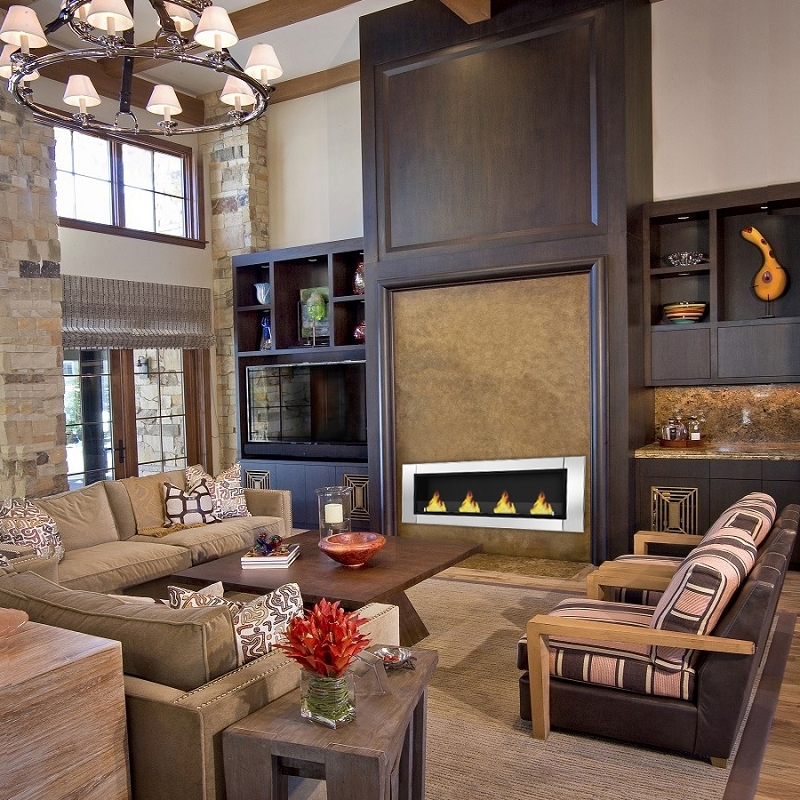 I really dig this fireplace ! Fall asleep every night with this on, helps me fall asleep easier. 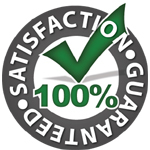 Customer service assured me that this product would be worth the buy, boy were they right. Absolutely love this fireplace. This fireplace makes me so happy, everyone who visits my home constantly compliments the fireplace.